The TW-1 Underwater housing case can be used with THETA V, THETA SC or the THETA S to record 360-degree underwater images and video. It can be used underwater to a depth of 30m (equivalent to JIS Class 8). The TW-1 underwater housing is waterproof up to a depth of 30 meters (equivalent to JIS Class waterproof standard). 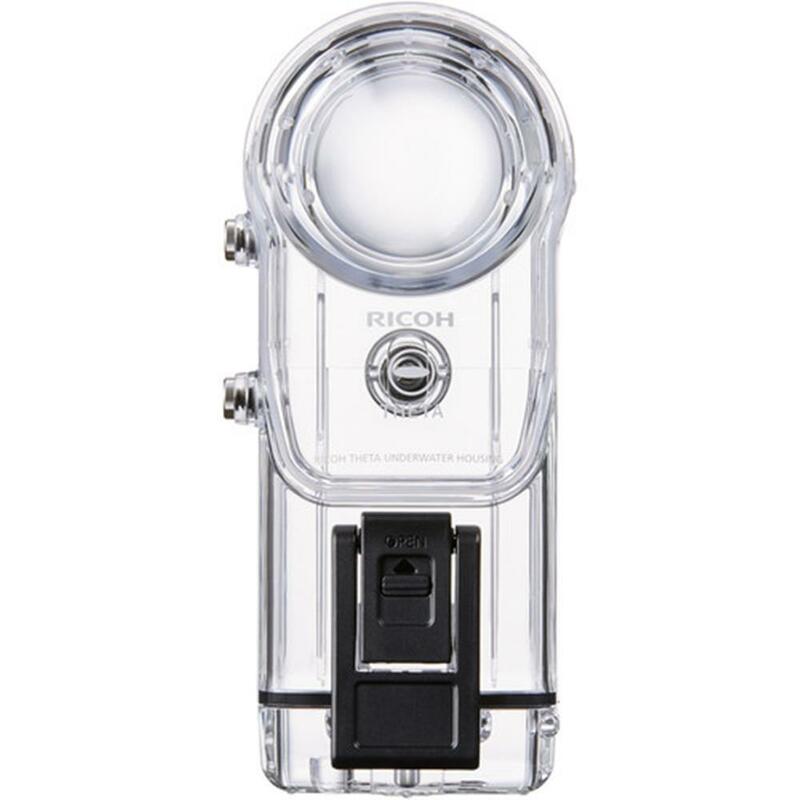 It can be used with the THETA V, THETA SC or the THETA S to record 360-degree underwater images and video. The hard coating and AR coating on the surface of the case is scratch resistant and reduces reflections. It comes equipped with a tripod socket to allow installation on various camera accessories. Carrying case, strap, scratch protection sheet and anti-condensation sheet are included.